Comfortable sneaker with traditional details. These sneakers give the ankles a good grip thanks to their higher shaft. 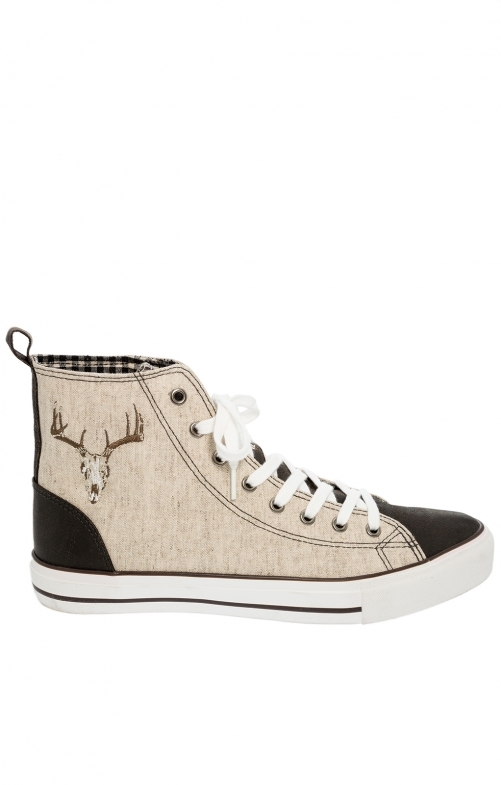 As a traditional sneaker in a nature colour, they fit the casual leisure outfit. On the outside they are decorated by a deer head. In addition, dark brown contrast inserts provide a striking look. The stable sole is white.